Nice ceiling lamp designed by Gino Sarfatti for Arteluce, Milano 1976. 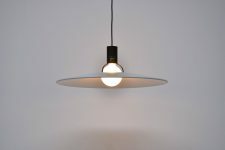 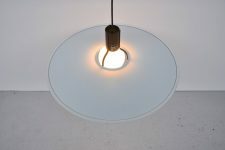 This pendant lamp is produced for a longer time, also by Flos but this is the original one by Arteluce (signed with sticker). 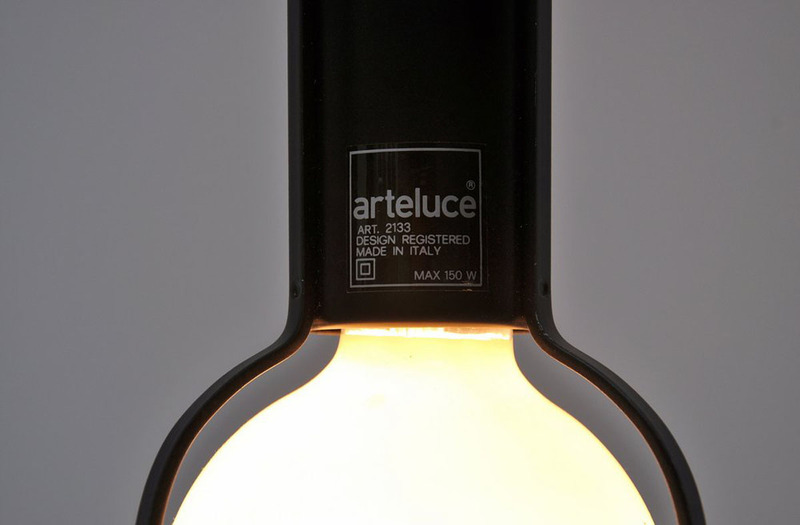 It also comes with the original large bulb lamp which is hard to find. 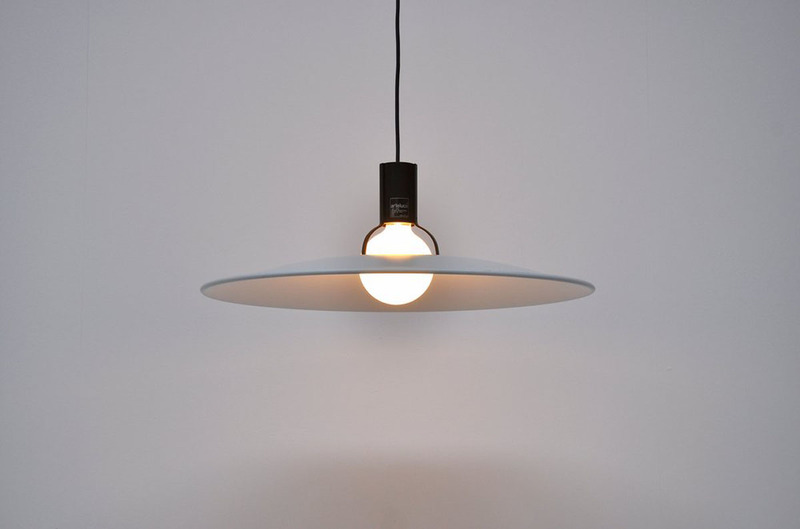 The lamp comes from an old store stock and is in perfect mint condition. Gives very nice light when lit.